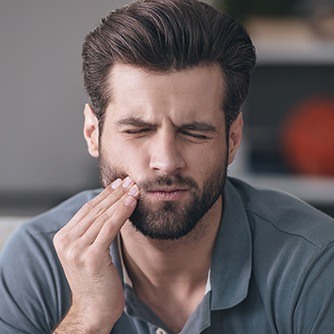 There is a particular health problem that causes younger and older people alike to experience dangerous symptoms like bleeding gums and tooth loss. It’s even been tied to diabetes, heart attack, strokes, and birth complications. What’s particularly worrisome is that about 80% of the population currently has a mild form of it. Sounds like something you should be concerned about, right? It’s actually periodontal disease, better known as gum disease. This is a bacterial infection of the gums, roots of the teeth, and the bone that supports them, and at Monet Aesthetic Dentistry, we take this threat to your wellbeing very seriously. We screen every patient’s gums whenever they come to see us, and if we spot any signs of this infection, then we have a battery of treatments designed to take care of it effectively. This oral bacterium can actually enter the bloodstream via the gums and attack other parts of the body, increasing a person’s risk for the systemic illnesses we touched on above. This infection shows why taking care of your mouth is good for much more than just your smile! Once we have determined that a patient does indeed have periodontal disease, our first line of defense involves a deep cleaning called scaling and root planing. For this, an ultrasonic cleaner will be used to remove any plaque and bacteria buildup below the gum line (scaling), and then the roots of the teeth will be slightly reshaped (root planing). This will lower the chances of reinfection in the future. Afterward, we’ll recommend that a patient comes to see us more regularly for standard dental cleanings to make sure the infection doesn’t return. Most of the time, periodontal disease is just a minor problem, but as you can see, it can easily turn into a major one! We’ll keep an eye out for periodontal disease at your routine checkups, so be sure to come see us at least twice a year. If any of the symptoms above sound familiar, be sure to contact Monet Aesthetic Dentistry today.